Here it isâ¦the master on the main that you have been looking for! This traditional 1.5 story home offers space for everyone & opportunity to make your own statement. A double door office with walk-in closet & formal dining space flank the hardwood entry leading you into the great room with wood floors, built-in shelving & a breathtaking 2 story brick fireplace adornment. The large eat-in kitchen opens to this room. The staircase connects the upstairs in an open flow. 3 bedrooms all with large walk-in closets share a bath on the upper level. The laundry with utility sink is located on the main floor. The full 1796 sq/ft basement is unfinished with rough-ins and a brick fireplace ready for your finishing touches, there is access from the basement to the 3 car garage! 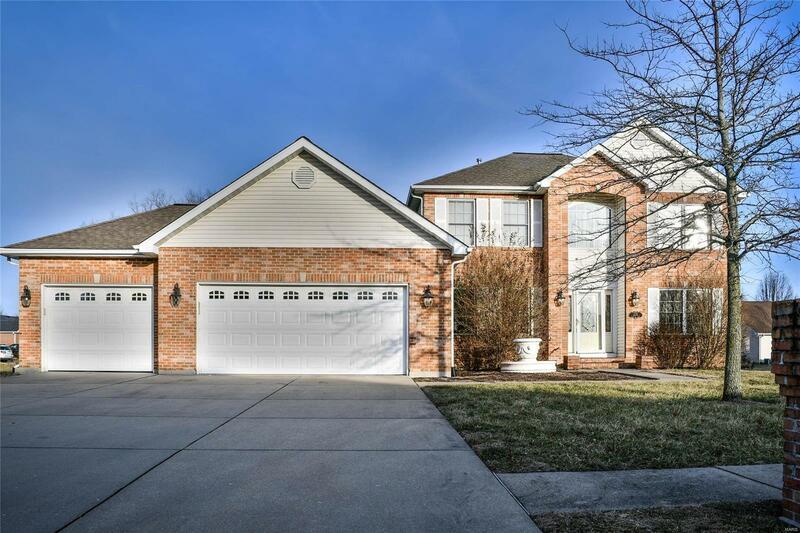 One block from the community pool, minutes to Scott AFB & I-64, Mascoutah Schools. Bring your vision to this spacious home, make your appointment today!